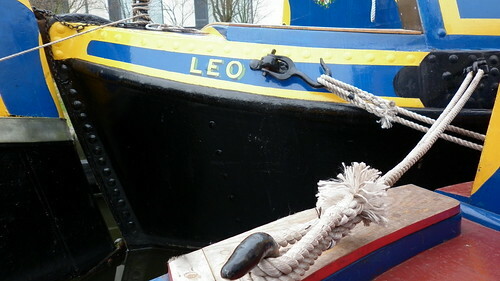 In its heyday Leo worked as one of a pair and until recently was exhibited as a pair too. 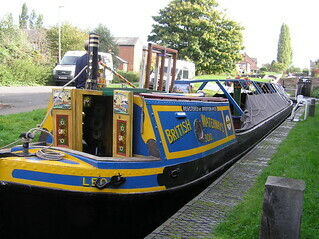 The motor (no longer part of the HWBG fleet) was Atlas and Leo the butty. 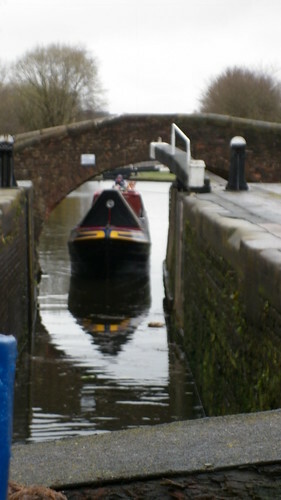 A butty is a boat that is pulled along behind a motor vessel, much like a sidecar on a motorbike or a trailer on a car. 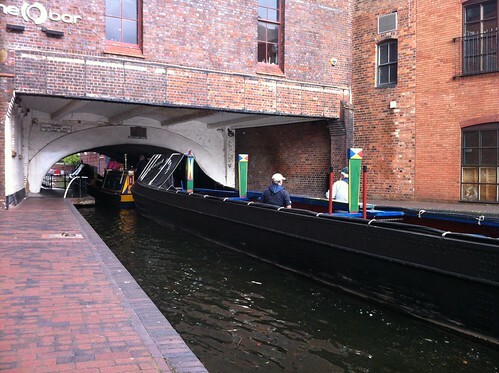 Both Leo and Atlas were built in 1935 for the Grand Union Carrying Company - Leo was launched in September and Atlas in November. In good conditions Leo was able to carry 25 tons of goods. The primary living space for a family was in the cabin of Leo, additional sleeping space would have been provided by the cabin of the motor. In most cases, it was the wife that steered the butty whilst looking after the children, and the boatman steered the motor. 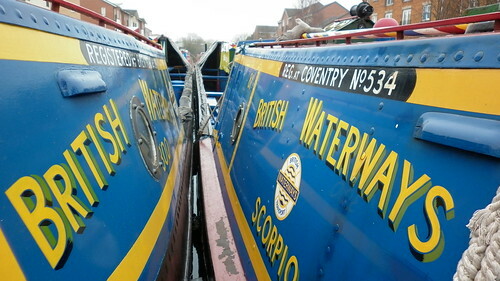 After Atlas was released from the project Leo was paired with motor Scorpio to form an exhibition pair. 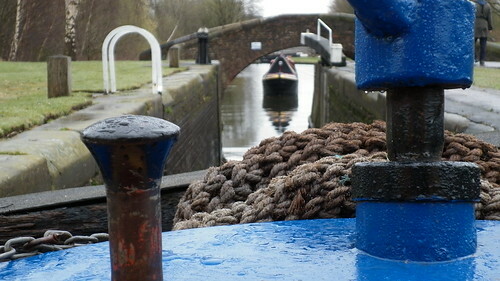 Operating the two boats together is a skilled job!